We’ve had a lot of rain lately. Days on end it has fallen. Inside my house, it was strangely quiet. It should not have been. My sump pump should have been running, and I should have heard it. Dagnabbit — that meant it had pumped its last. The old, failed sump pump sitting on my deck. Which tells you where this story is going. I’m not deeply experienced in the ways of sump pumps. My last house had one. It was there when we moved in, and it pumped faithfully for years. The crawl space was always a little damp, but that pump kept it from being wet. That wasn’t enough to satisfy my wife, so we had a perimeter drain dug, an additional sump pump sunk, and the whole place encapsulated. Holy frijoles, was that ever expensive. Point is, however, that I never personally had anything to do with our pumps. I didn’t even know what one looked like. When I was deciding whether to make an offer on this house, the crawl space was the biggest point of risk. A lot of insulation was lying on the ground, having fallen out from between the joists. The vapor barrier looked pretty ratty. And there was no sump pump. But there was also no evidence the space had ever been wet, and the price was very right on the place. So I rolled the dice. What I didn’t consider is that a crawl space that has been wet to the joists shows little or no evidence. A foot of water might leave a line on the foundation’s cinder block. But water to the joists leaves no such line. I crapped out. Shortly after I moved in, a very heavy rain flooded the crawl space. I cleared it with a borrowed portable pump. (And got the worst case of poison ivy in my life. Read that story.) I promptly paid to have a pit dug and a sump pump installed. Unfortunately, the lowest spot in my crawl space was under my bedroom, and so that’s where the pump had to go. I slept ten feet from it. And it roared like a diesel engine every time it cut on. WHAAARRRNNNNsplooooooosshhhhh, over and over, all night. When it rained hard I had to go sleep in the family room. Last week we got a ton of rain. After the first night I knew there was trouble under the floorboards, because I awoke refreshed from a good night’s sleep. Thank God for YouTube. Everything you ever wanted to know how to do is there, usually shot by some random dude on shaky mobile-phone video. This video showed me how easy it would be to replace the pump myself. It took me two hours to do the job, including a run to The Home Depot for the pump and associated supplies. Not bad, right? Except that I had to do it in two feet of water. Cold water. Cold, dirty water. And immediately upon entering the crawl space, I slipped and twisted and suddenly cold, dirty water met my nether regions. That will take a man’s breath away. I emerged sopping wet. I sloshed my way into the garage, where I stripped and dropped my soaked, dirty clothes into the washer. I grabbed a quick shower. And then as I was dressing, I noticed the quiet. It should not be quiet! Was my new pump even working? I looked out the window and saw water gushing out of the exit pipe. I listened more carefully, and realized I could actually hear a slight tinkling sound coming from below — the sound of water running gently through the pipe. That was it. Silent sump pumps are a thing?!!? I had no idea. If I had known, I would have replaced that sleep-depriving old pump years ago!! My current house is the first place I ever lived with a sump pump. It failed about a year after we moved in and I replaced it. It is apparently a more pleasant job in a basement than in a crawlspace. That has been a long time ago and I wonder if I should do it again in advance of a failure. But I probably won’t. It’s a special kind of pleasure to replace a pump in two feet of water. Just sayin’! We are just now experiencing the joys of a sump pump as the first three houses didn’t have one. Thankfully this one is very quiet yet I can see how the quietness would be troublesome after being so conditioned to something so loud. It was a momentary worry — was it working? But once I realized it was working, just very quietly, I was thrilled! I remember the sump pump running a lot when I was young, but then my folks built a new house in 1981. It has a pump because the zoning regulations said you need one. As I recall, the pump ran once when installed to clear out the water that had accumulated in the pit, before there was a house on top of the basement. I don’t think it has even been plugged in for the last few decades. Must have been nice to live in a place where groundwater wasn’t a problem! I discovered that sump pumps have a rated lifespan after Hurricane Irene; my pumps, while still functioning, were about seven years past it. Of course, even functioning pumps don’t do any good when you lose power after 11 hours of a 12 hour event (peak rainfall: 5 inches in hour nine alone). Never been so glad for an unfinished basement. I also discovered that sump pumps with higher water-moving ratings are only slightly more expensive. Each of my two current pumps has a higher rating than the old pair; the 5 gallon pits clear in about 1.5 seconds. If I’d had them during Irene, they would have stayed ahead of the rising water table instead of barely keeping pace and I likely wouldn’t have flooded (it was only about an inch of water that topped over the sump). Where I live the water table is high. When I look at historic aerial imagery of my neighborhood from when it was still a farm field, a creek clearly flowed through here. So every time we get a good soaking, my pump runs. That my last one lasted, what, eight years or something is pretty darned good. I gotta tellya, pulling the cover off the crawl space and seeing water from corner to corner is a special kind of disheartening. But yes, pumps are just lumps of iron without power. There are battery backup systems, but the ROI doesn’t seem to be there in my situation. Twice in 20+ years of living in this part of Indy has power ever been out for longer than 24 hours. Generally no amount of rain landlocked Indiana gets is going to flood the crawl to overflowing in that time, so it’s okayish to just let it flood and then let the pump clear it after power returns. Hmmm sump pump. That’s a new concept for me. Never lived anywhere that called for that. Interesting. Growing up our house had a basement but we had no pump. 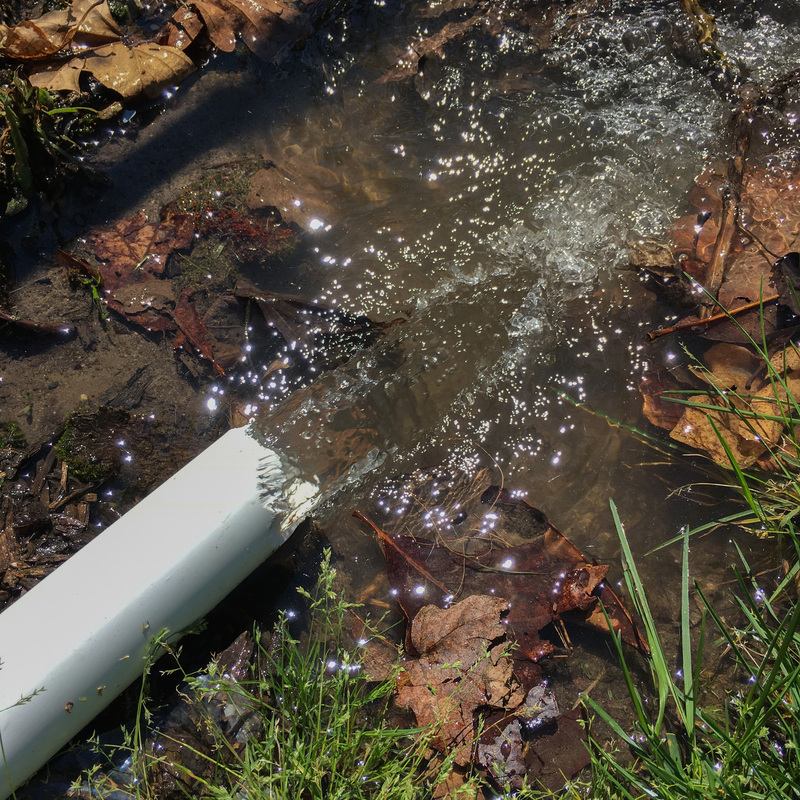 I’d never heard of a sump pump until I moved to Indianapolis, which was built on marshy land. Every house with a basement or crawl space here with which I’m familiar has at least one sump pump. I’ve never had a pleasant experience in any crawl space I’ve ever had to enter. In Arizona, it was scorpions. In California, raccoons and black widow spiders. Here it’s just mice and squirrels, in the wintertime. The worst part about my particular crawl space is that it’s on the shallow side, meaning anything I do down there is uncomfortable; and the ground around the entrance is hard and jagged and so it chews up my knees as I enter. Nice job, at least you have the ability to get in there and do something about it, I hope none of your possessions were damaged by the water. We had the same system pass our area, although there was flood damage in low lying areas of town our basement stayed dry. I did have to get a ladder out and clear an eavestrough in the middle of a downpour, but didn’t get quite as wet as you did. My crawl isn’t a place to store things — it’s just there to provide access to plumbing pipes and heating/cooling ducts. So no damage to possessions. Hopefully having standing water down there for a few days didn’t create a mold problem for me though. Well, I had to chuckle. Not at your expense for pump replacement, but at your realization that sleep deprivation could have been avoided long ago. But I tend to use things up, too. I hate wasting money by replacing something that isn’t used up. But in this case, I think I would have made an exception! I think replacing a sump pump in a foot of water must be a rite of passage here in Indy. I’m kind of glad I’ve never had a basement here, where a failed sump pump can mean soaked possessions. Interresting, actually, to learn that your houses over there in Indiana comes with a sump pump installed to keep the worst of the water out of the building. We struggle with mother nature and her weather and water over here as well, but flooding is luckily not an issue in the area I live. Steep hills and natures own methods of draining the water to the sea in a matter of minutes, combined with well drained areas around our buildings usually keeps the water out and away. Other areas in Norway further south and east will have troubles with flooding, but these areas are flat as a pancake and very different from where I live. I know a pump when I see one though, as we got a couple of hundred of them in various places and for various reasons on board the ship I work on. The issue will most often be the bearing having worn out or rusted/corroded because of water, which will give you a grinding sound quite different to the new pump sound you experienced after the pump was changed out. We change to new bearings every five years whether their done or not, just because we know it means trouble to run them for too long. But that’s for the shipping industry. If I had a sump pump at home I would most likely let it run until I could smell trouble in some kind of way. Just like you did. Indianapolis was built on marshy land. And in my particular part of town the water table is high. So whenever we get more than a couple inches of rain, my crawl space fills with groundwater. So a sump pump is absolutely necessary! Fortunately, whoever dug my house’s foundation did it so water drains to a low point, making it possible for a pump to truly clear a flooded crawl space.